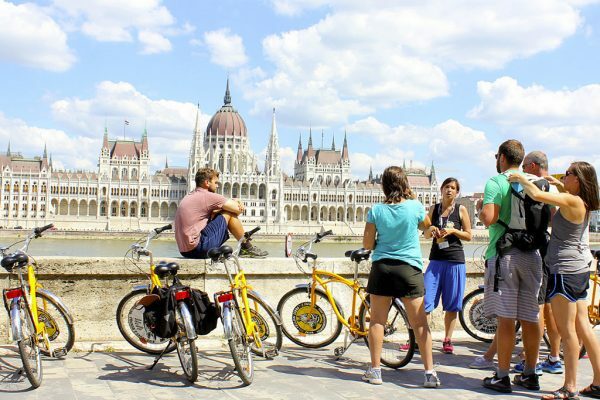 A Budapest bike tour represents one of the best means of orientating yourself in the city as you can cover a huge amount of ground in just a few hours. 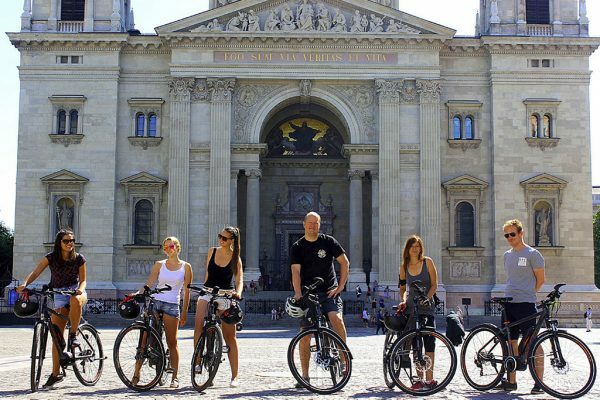 With a wide range of bikes for all ages and abilities, you’ll get the best overview of all the main city attractions from the saddle during our active but relaxed bike tours. What better way to see the city than a bike tour on a balmy summer’s evening. Explore all the major sites, as well as discover their histories and more with your knowledgeable and entertaining guide. 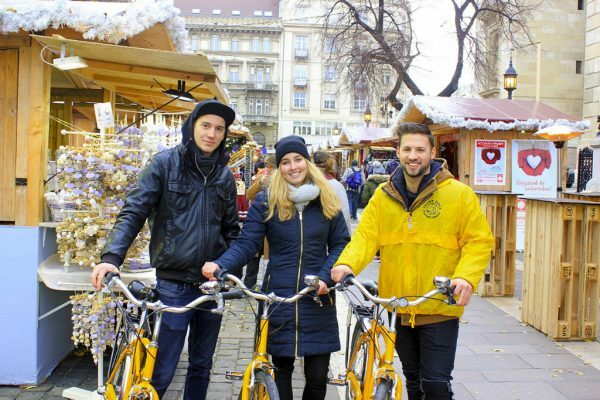 A great way to spend a couple of Winter hours getting to know the sights of downtown Budapest. Your entertaining and informative guide will fill you in on all things historic and cultural. And there’s a couple of stops for hot drinks to keep warm. During this guided tour you’ll cover all the important sights on both sides of the River Danube. Along the way, we’ll take in some stunning panoramas, as we explore the grand boulevards and magnificent squares. 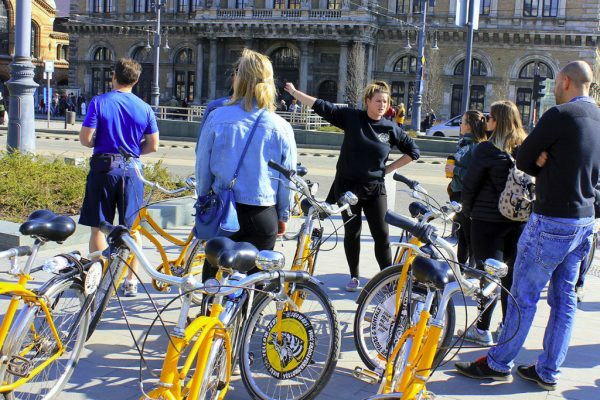 Riding along with your informative and entertaining guide, you’ll end up knowing the city better than most of the locals. We go off the beaten track, in search of what make Budapest the unique and buzzing city it is today. 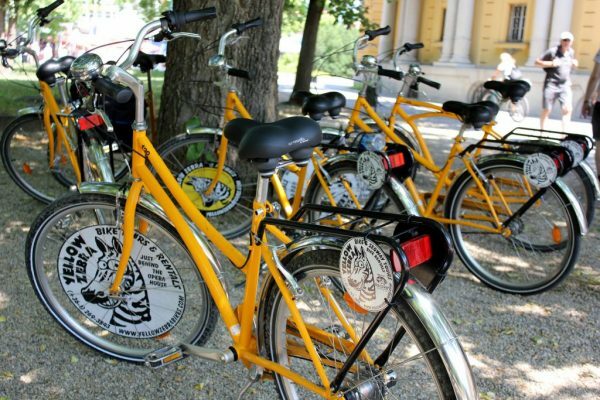 For a great afternoon out of central Budapest, why not take a relaxed and pleasant bike ride through Margaret Island to Old Buda and visit the Victor Vasarely Museum. 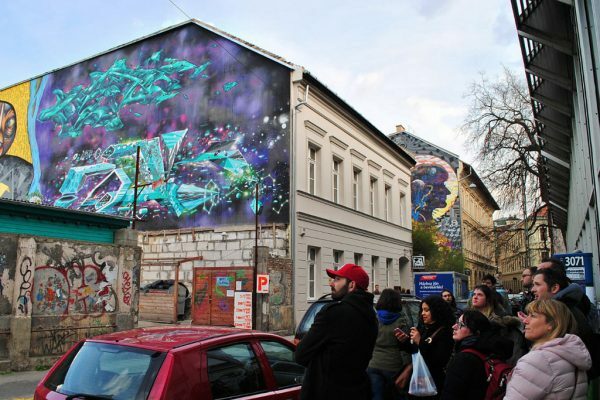 Take a look at the work of both amateur and professional graffiti artist on Budapest’s longest legal graffiti wall, peek at some of the now disused factories. 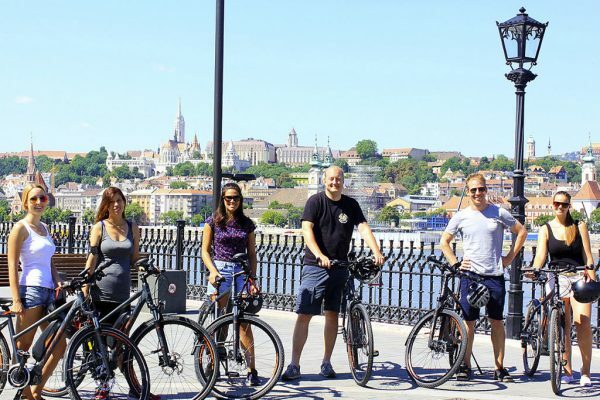 Once you’re comfortable on your e-bike, kick back and enjoy this effortless means of seeing all the major sights of the city on both sides of the river. Whether cruising along the Grand boulevards or gliding through the parks, this is a great way to explore the city. It’s said that you need to walk a mile in someone else’s shoes to see where they are coming from. To that end allow our native Hungarian Tour Guides to take you on an immerse, active and informative walking tour. Together you’ll discover the historical, cultural and architectural wonders of the unique and beautiful city of Budapest. This guided tour is the perfect way to discover how the Castle District has changed over the past centuries, through the various historic occupations, leading up to the present day. 10% OFF! A winter walking tour of inner Pest passing many famous sights. Explore the handicrafts, souvenirs, traditional foods and sweets of 2 Xmas markets and enjoy wine tastings and mulled wine to keep you warm. An informative walk that starts at the Opera House in Pest and ends in the Castle District of Buda. 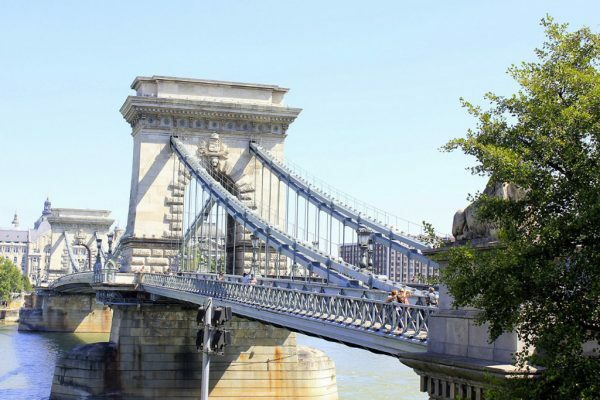 Strolling through the historic streets, you’ll not only get to see all the major sights of both Buda and Pest, but also learn about Hungarian’s fascinating history and culture. 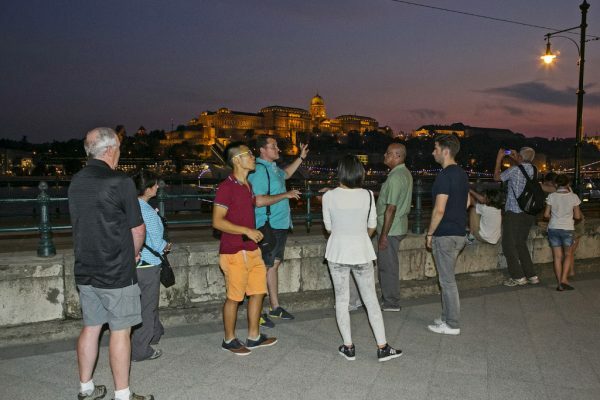 A relaxed and informative evening stroll through the city’s most famous landmarks that’s topped off with a boat cruise on the Danube. Cameras ready! A tour that takes you “off the beaten path” and focuses on the things rarely shown to tourist, simply because many of them never appear on tourist maps. Discover hidden buildings, wander narrow cobblestoned streets and explore some of the city’s dark corridors and courtyards. A walking tour that explores both traditional and contemporary Hungarian cuisine with lots of opportunities to sample local dishes and wines. 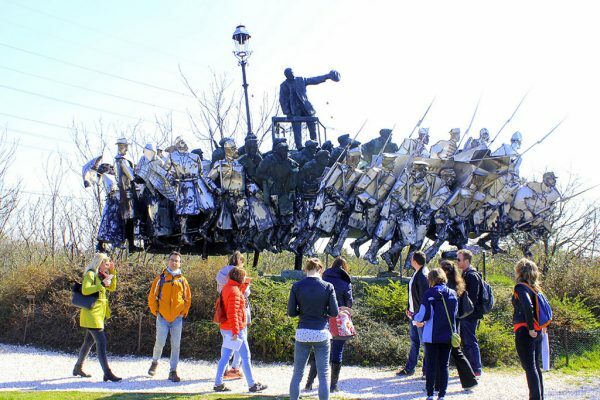 A walking tour that looks at the history of Communism, from the Soviet Invasion, to day to day life, from how the Hungarians rebelled and eventually broke free, to its effects on contemporary culture. 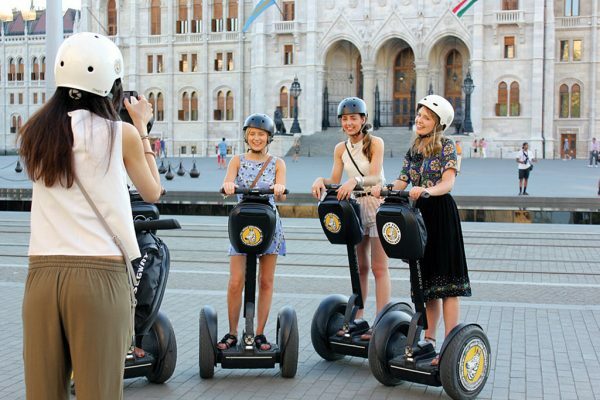 A guided Segway tour is simply one of the best ways to discover the stunning streets and boulevards of Budapest. After a short training period, you’ll find that riding is intuitive, allowing you to glide along effortlessly and explore the city in this unique, fun and eco-friendly manner. Your group only with a private certified guide! 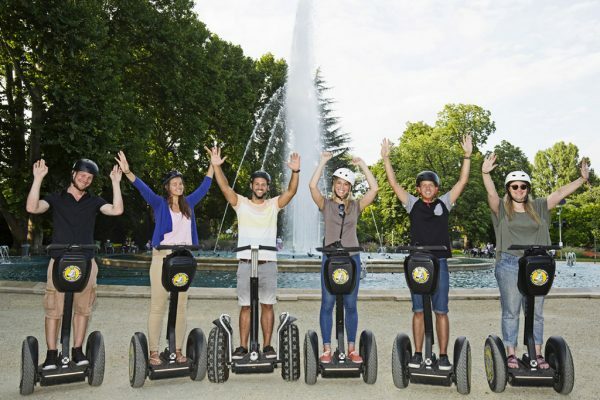 After learning to ride your Segway, on the Grand segway Tour, we’ll visit all the famous sights of downtown Pest. 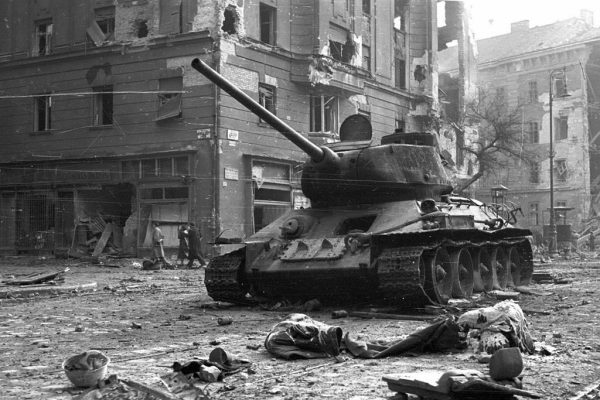 The tour allows an extra time to travel up the beautiful Andrassy Boulevard to Heroes’ Square and the City Park. 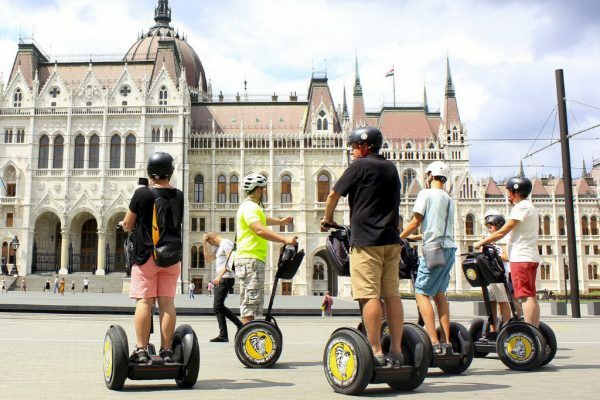 Once you’re comfortable on your Segway, we’ll take you on a short tour of downtown Pest, taking in all the major sights. After a short Segway training session, we’ll set off to see some of the major sights of Pest, before crossing the river Danube to Margaret Island. 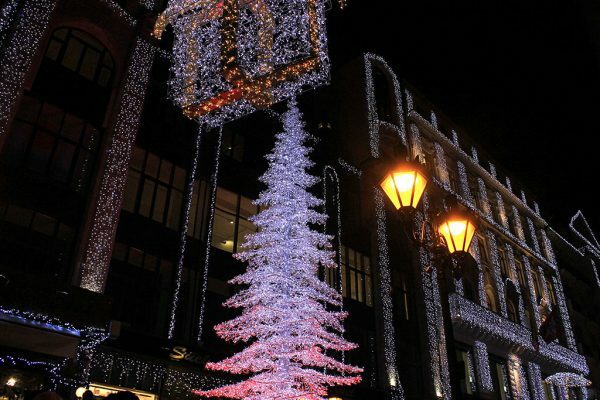 See some fantastic panoramas as the night falls and the city’s illuminations commence. Lots of photo opportunities. 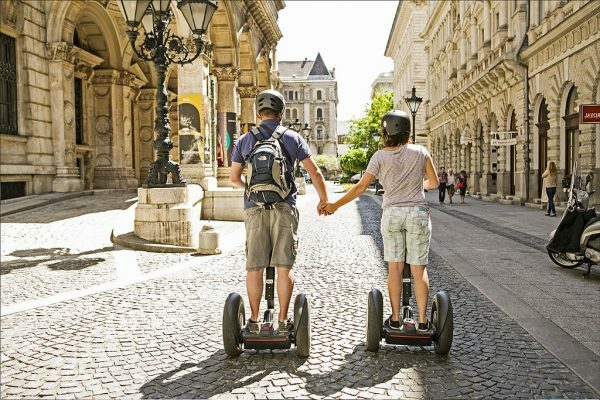 After learning to ride your Segway, on the Grand segway Tour, we’ll visit all the famous sights of downtown Pest. 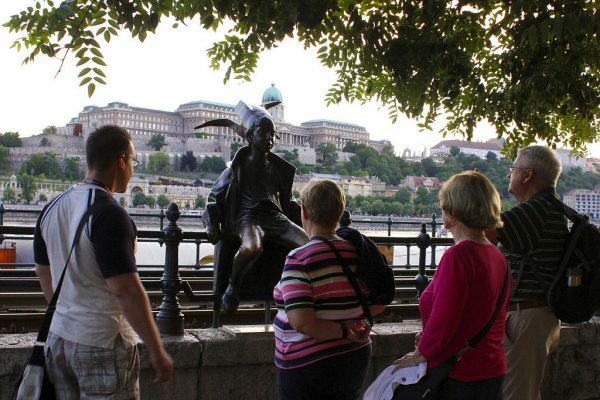 The tour allows an extra time to travel up the beautiful Andrassy Boulevard to Heroes’ Square and the City Park. Want a personalized tour allowing for greater flexibility but with your own guide? Simply decide where you want to go and create a tour exclusively for you or your group. Or choose from an ideal pre-made tour. This is a tour where you decide where you want to go and in what order you wish to visit any sights. Not only will your private guide get you there, but will be happy to both explain the histories and backgrounds, as well as encouraging any questions. Want to experience life under Big Brother? Learn both the historical and political aspects of life as we explore streets and monuments dedicated to those times. Then visit a one off exhibition showcasing the day to day life through all things Communist related. 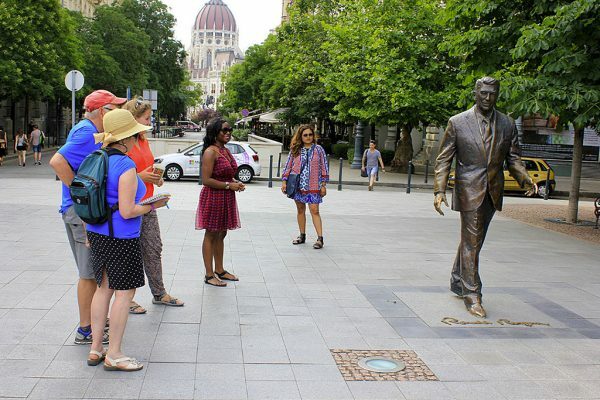 A tour that not only looks at the profound history of Hungary and Budapest under Communism by visiting relevant sights throughout the city, but also allows you to imagine the sometimes surreal day to day life, through exhibitions and stories. Escaping bustling city, we take a relaxed cycle ride along the Danube to the pretty and charming town of Szentendre. Here we spend a day exploring art galleries, delightful shops and quaint churches. With the approach of evening, we savor a pleasant riverboat cruise down the Danube, as we make our evening return to Budapest. Go to see the sights of the city along with your own knowledgeable and entertaining guide and let the silent E-bike take you there effortlessly. Visit one of the largest Jewish communities in Europe. 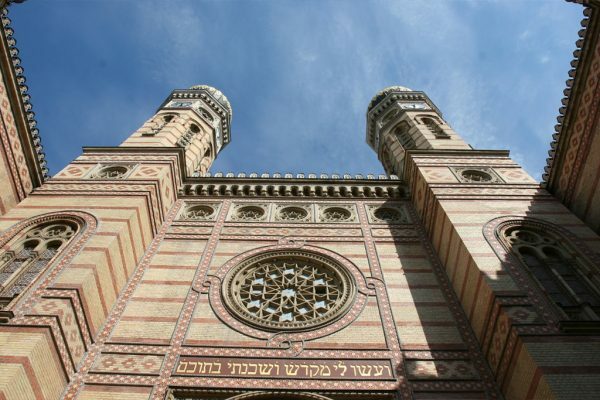 This tour includes all the major religious, artistic and historical Jewish sights. 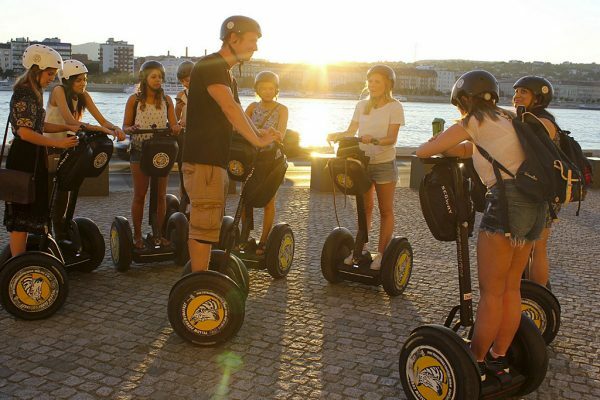 After mastering your Segway, you’ll head off towards downtown whilst deciding the itinerary as you go. You decide how to utilize your time with your own knowledgeable and entertaining guide always at hand to advise you. After collection from your hotel, you can decide with you private guide the itinerary of your tour; where to go, what to see, when to stop. 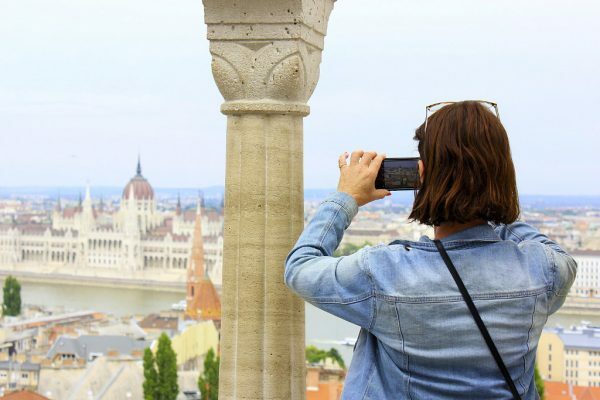 Take time to ask lots of questions, stop for photos, a relaxed and informative private tour makes for a great introduction to both Budapest and Hungary. A relaxed evening stroll visiting many famous sights. After immersing yourselves in history and culture, top off the evening with a leisurely cruise on the Danube. Definitely remember to bring your camera! 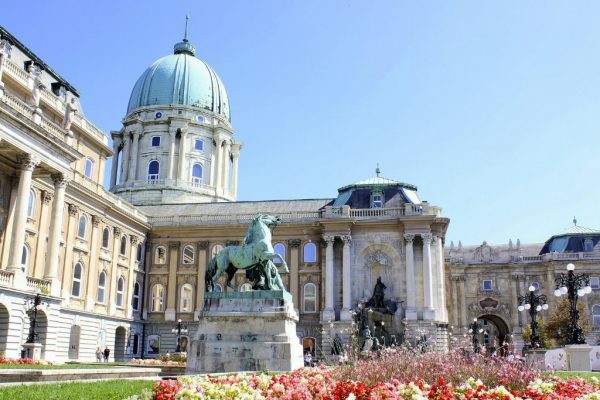 Explore and sample the delectable world of Hungarian cuisine, wine and craft beer. 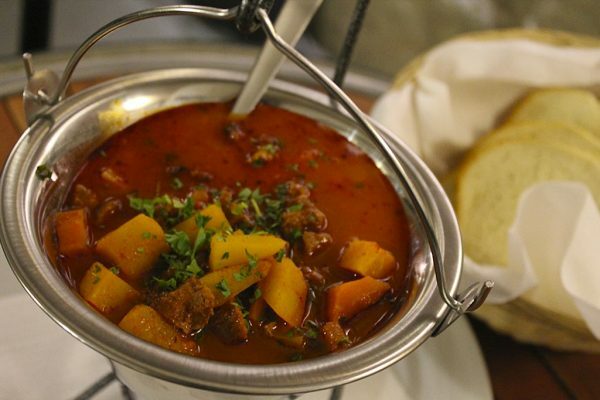 Let our native guides lead you through the cultural and culinary aspects that make Hungarian cuisine so special. 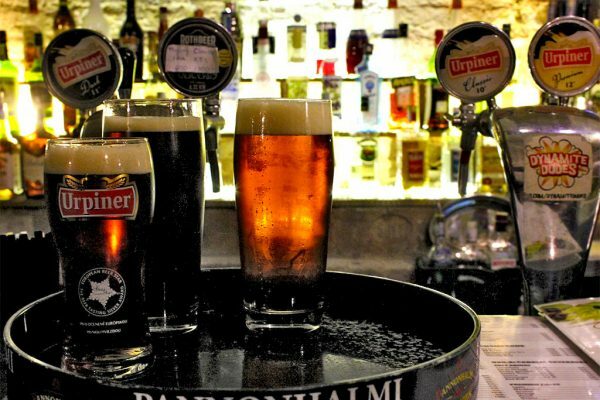 On this unique walking tour, you’ll get to sample the wonders of Budapest’s local food and craft beer scene. 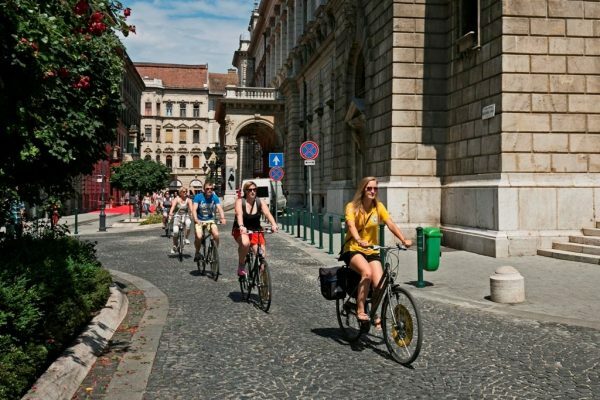 You’ll learn about the city’s history and discover what Hungarians like to eat and drink. Looking for something different? 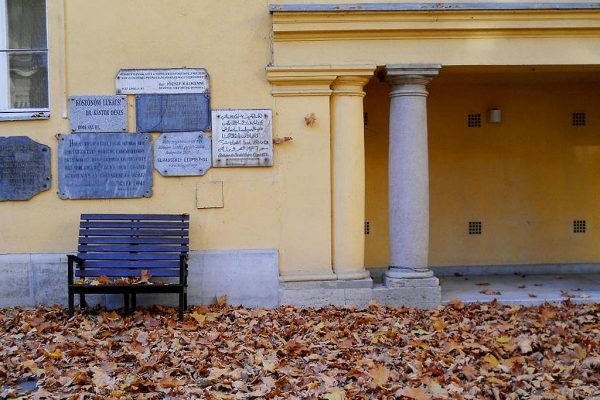 Here are opportunities for you to discover a side of Budapest unseen by many. Whether checking out the contemporary alternative city art and music scene or exploring dark caves deep under the city, you’ll be both entertained and amazed at what you find. This is a tour for people who want to see the other side of a city – it’s alternative side. You won’t see the usual sights, monuments and historical landmarks that other tours show you, but rather the more underground things that really define Budapest. Our tours aren’t about the past, they’re about what’s happening now. 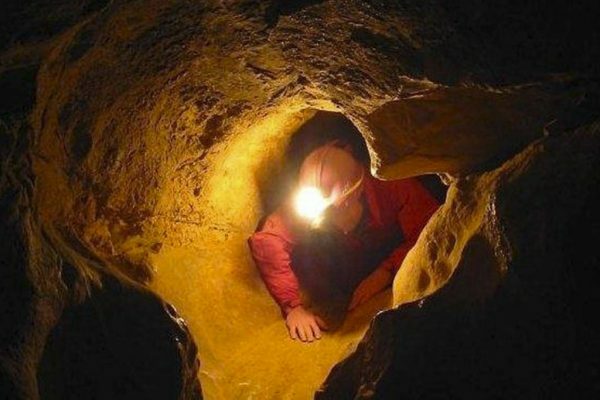 A walking tour that explores the caves of Szemlő-hegyi and Pál-völgyi, both set within the Buda Hills. 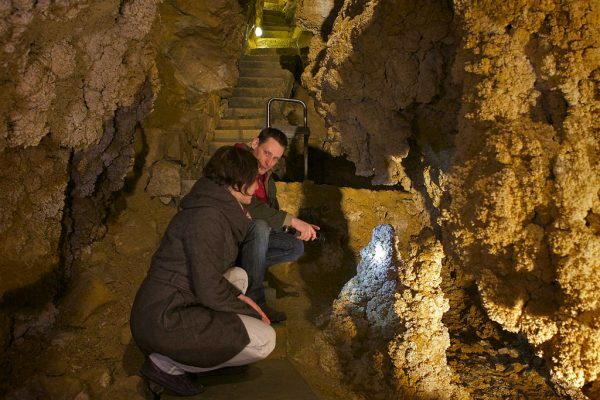 The former is known as the “underground flower garden of Budapest” with its spectacular limestone formations. And the latter for it’s tall passageways and famous Theatre Hall echo chamber. Save your time and money by booking tours online!